The DeLorean appears over Hill Valley and Doc turns on the windshield wipers. It’s raining hard…really hard. It may not have seemed unusual when Back to the Future Part II was released in 1989 and may not seem unusual to people outside of California, those of us in California will look on with wonder as water is falling from the sky! California is currently suffering from a drought with nearly 50% of the state’s drought rated as “exceptional”. 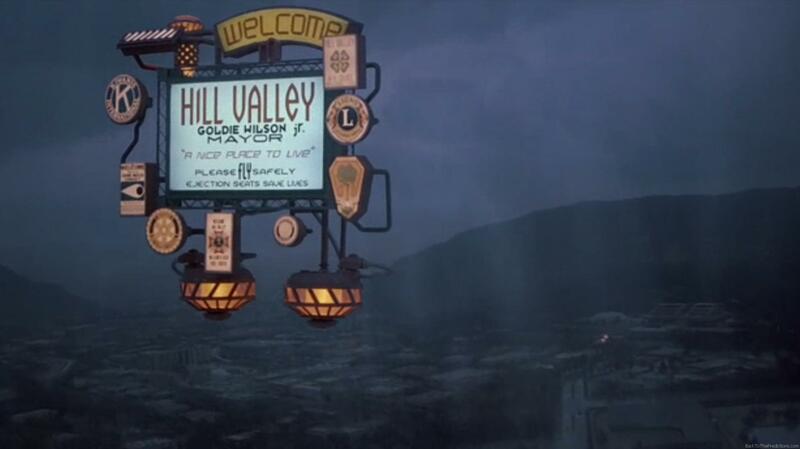 Rain is very uncommon and a rain shower like we see over Hill Valley hasn’t been seen in most of the state in nearly a year. No significant rain, such as the rain shower depicted in Back to the Future Part II, took place anywhere in California yesterday. 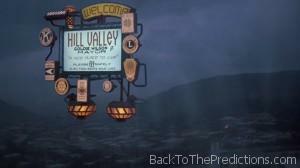 …so wherever Hill Valley is located in California, it didn’t actually rain there on October 21st.